Kevin Love is an NBA Champion, a five-time NBA All-Star, and has made the All-NBA Second Team twice, among numerous other accolades he has garnered in his professional basketball career. However, in the past year, the Cleveland Cavaliers forward has also become a mental health advocate by speaking about the mental health stigma, not just prevalent in sports, but in society as a whole. This November, Her Campus UIC has the honor of hosting a watch party of the New York Times live event series, “Get with the Times,” whose featured guest this month is Kevin Love. Love’s event, titled “The Mental Game with Kevin Love," will take place at Tuft University and will provide college students with an opportunity to discuss mental health with the basketball player. 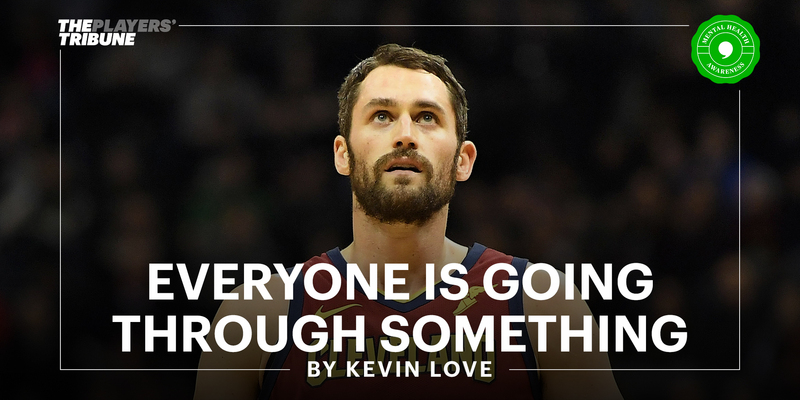 Kevin Love first detailed his confrontation with mental health in The Players’ Tribune article, “Everyone is Going Through Something.” During the third quarter of a game against the Atlanta Hawks last season, Love was seen running to the locker room during a timeout. He was having a panic attack. Since that moment, Love knew he must seek help and began seeing a therapist. He is now vocal about the need for a tolerant attitude towards mental health. He has also launched “The Kevin Love Fund” to provide people with the resources to sustain a healthy well-being.